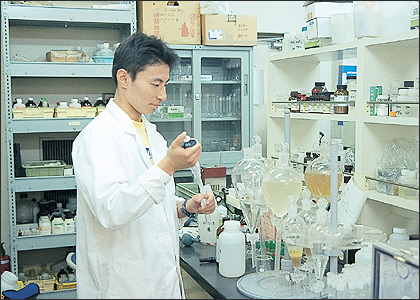 The activities of the Center for Environmental Science include education and research in environmental science, management of disposal plants for waste liquids, and monitoring of the sewage effluent of the campus. The center is equipped with instruments for the analysis and treatment of toxic substances and laboratory wastes. The center has lead the whole institute in obtaining certification for environmental management activities to meet ISO14001 standard in September 2001 and its continuation. The effort is to help dealing with global environmental issues that pose a threat to life and nature, and to promote education and research in environmental sciences.